Lightning arresters are manufactured using high quality raw material which is used to protect electrical equipment from medium and high voltage. A lightning arrester / Surge Arrester is a device used on electrical power systems to protect the insulation of transformer and conductors of the system from the damaging effects of lightning. 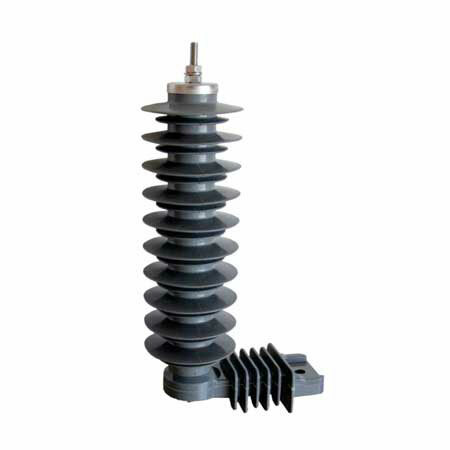 The typical lightning surge arrester has a high-voltage terminal and a ground terminal. When a lightning surge (or switching surge, which is very similar) travels along the power line to the arrester, the current from the surge is diverted through the arrestor, in to earth. Our lightning surge arresters are Gapless metal-oxide type, consist of Zinc-oxide Varistors, FRP Core and Silicone Housing.